The Valplast Flexible Denture Cleaning Container is a robust cleaning container, with a removable inner basket designed for the safe storage and hygienic cleaning of Valplast Flexible Dentures. 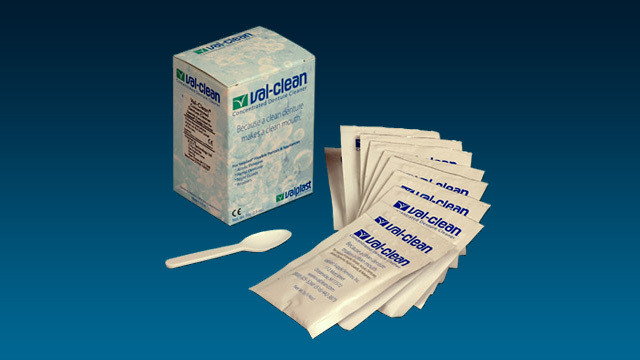 Mix either FDC Flexible Denture Cleaner or ValClean Concentrated Denture Cleaner according to the instructions on the packet. Pour approximately 200 ml of the prepared solution into the Cleaning Container and totally immerse the denture for about 10 to 15 minutes to achieve a clean fresh denture. The Cleaning Container is a safe and secure storage place for your denture when overnight soaking is used. The removable basket can be used to remove the denture from the solution and to rinse it before replacing it in your mouth. The Cleaning Container should be thoroughly cleaned before replacing the cleaning solution. 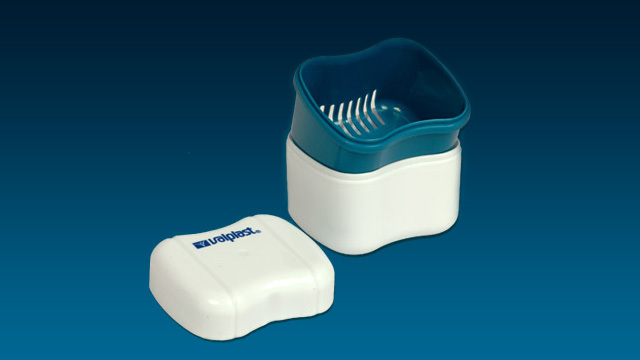 Click here to purchase a Valplast Flexible Denture Cleaning Container from our denture products shop. The Flexible Silicone Denture Brush is the only brush soft enough not to damage your Valplast denture but firm enough to remove food particles. When used with FDC Flexible Denture Cleaner or ValClean Denture Cleaner the Flexible Denture Brush will help to keep your denture clean and fresh. The Flexible Denture Brush is made from Valplast friendly highest quality silicone that is dishwasher safe. The handle has been specially designed to provide an easy to hold, safe, firm grip. Wash the Flexible Denture Brush in soap and water before first use, rinse with plain water before and after using with your flexible denture. Hold the denture firmly in one hand over a wash basin containing a little water. Dip your Flexible Denture Brush in your Flexible Denture Cleaning solution and apply to your Valplast with a light, but firm, circular motion. Always rinse your Valplast under running water before putting it back into your mouth. Do not leave the brush in direct sunlight, near to a source of heat or soaking in the denture cleaner for longer than 10 minutes at a time. Click here to purchase a Flexible Silicone Denture Brush from our denture products shop. To remove loose particles from your Valplast appliance, you may want to consider using a Sonic Denture Cleaner rather than brushing. Brushing Valplast material will scratch up the surface, leaving a dull appearance and making the appliance susceptible to staining. Sonic Denture Cleaners from Valplast International Corp. run on two (2) AA batteries and will safely and effectively remove loose particles from your dental appliances. 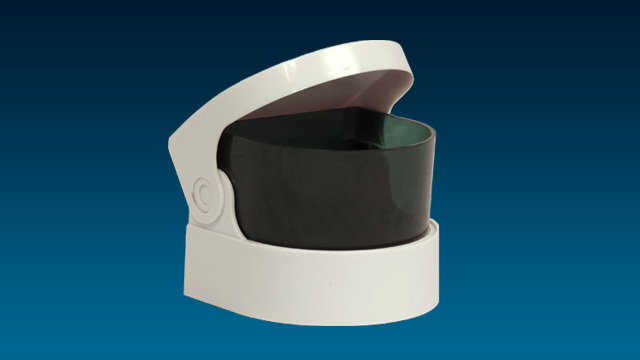 Click here to purchase a Sonic Denture Cleaner from our denture products shop.